Imagine you’re sitting on the couch, relaxing after a hard day at work. You’ve certainly earned a snack. But you’re trying to live a healthier life and make better food choices. So instead of a candy bar, you’re having a cereal bar, and in place of a soda, you’re drinking bottled iced tea. This is the life,” you tell yourself. “I’m having a great-tasting snack, but it’s healthy, too!” You feel you’ve made a wise choice. But have you? Part 1 of this series listed 10 dangers of added sugars. If you really want “the sweet life,” you’ve got to start eliminating sugar from your diet. But that may not be as easy as it sounds. Even if you’ve got the willpower to forego the obvious sugar-laden drinks and desserts, you may not be aware of the many ways that sugar—particularly harmful refined sugar—sneaks into your diet. Look at that cereal bar, for example. It’s touted as a health food, with extra protein and other nutrients. Many cereal bars, however, contain as many as 10 - 15 grams of sugar. And the bottled tea? Depending on the flavor, one bottle could unload 20 or more grams into your system. So even when you think you’ve made a healthy choice, the nutrition in the food may be tainted with dangerous sugars. That six-ounce container of yogurt you had for lunch, for example, may have as many as 27 grams of sugar. And have you read the label of your favorite breakfast cereal lately? The top two selling brands of cereal in the U.S. contain nine grams and 11 grams of sugar per ¾ cup serving. Those grams in single servings may not sound like a lot to you. But consider the newest guidelines from the World Health Organization: an adult of normal body mass should consume no more than 25 grams (or approximately six teaspoons) of sugar per day. If you’re eating lots of processed food, you could easily exceed that amount. If you rely on natural, whole foods for the bulk of your diet, sugar isn’t such a problem. However, like many people, you probably depend on processed foods to some degree. Think about it: how many times do you open a can, a jar, or a box when it’s time to eat? Unfortunately, food manufacturers often add refined sugars to their products in order to please the palate. Even foods that shouldn’t need sweetening, such as canned fruits and vegetables, and jars of peanut butter and apple sauce frequently contain some form of sugar. You’ll even find sweeteners in bread, salad dressing, frozen meals, pasta sauce, soups, and more. As a matter of fact, 80% of processed food items contain added sugar, according to Dr. Mark Hyman, author of The Blood Sugar Solution:10-Day Detox Diet. As a result, you end up eating lots of added sweeteners without even realizing it. In order to detect sources of hidden sugar, you have to examine the evidence by reading nutrition labels. Simply look under “Nutrition Facts” on the container to find total grams of sugar per serving. Yes, it takes diligence. You’ll spend more time in the grocery store inspecting the fine print. But those extra minutes in the store may add years to your life. But food manufacturers don’t specify on the labels which sugars occur naturally and which are added. You’ve got to read the actual ingredient list to discover added sugars. If any type of sweetener appears in the list, it is an added sugar--not naturally occurring in the food. Agave nectar, Brown sugar, Cane crystals, Cane sugar, Corn sweetener, Corn syrup, Crystalline fructose, Dextrose, Evaporated cane juice, Fructose, Fruit juice concentrates, Glucose, High fructose corn syrup, Honey, Invert sugar, Maltose, Malt syrup, Maple syrup, Molasses, Raw sugar, Sucrose, and Syrup. You’ll find one particularly dangerous man-made sugar, high fructose corn syrup (HFCS), in many processed foods because it can be made so cheaply. Since your body uses this liquid form of fructose differently than regular sugar, its consumption is even more likely to lead to obesity, according to Dr. Joseph Mercola of mercola.com. Write down everything you eat that comes out of a box, bag, can, or jar. Read labels carefully and, for each product, write down all the added sugars you see. Which foods contain only natural sugars? How many different added sugars did you find? Next, note the amount of sugar in one serving of each product you consumed. Be honest about the number of servings you ate or drank! 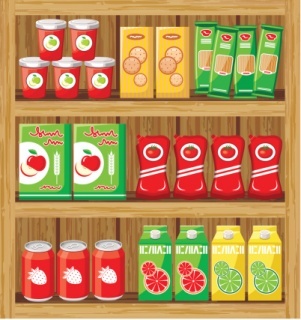 Try to account for sauces, condiments and other ingredients used in food preparation. Also, don’t forget any table sugar you added to coffee, tea, oatmeal or other foods. Remember that one teaspoon of sugar equals four grams. Now add up the grams of sugar you ate each day. What’s your conclusion? Do you eat too much sugar? 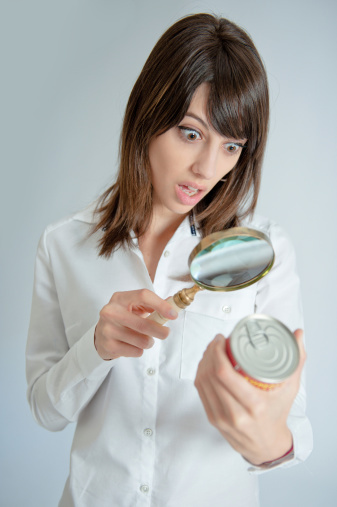 You’ve examined the evidence, and you’ve uncovered hidden sources of sugar in your diet. After your investigation, perhaps you concluded that your diet is on sugar overload. If so, you may be denying the facts. After all, it is bad news. If you read part 1 of this series, you know the dangers of consuming too much sugar. Does that mean you have to give up sweeteners altogether in order to be healthy? Absolutely not! Sweets can be a part of your “sweet life.” Continue reading in Part 3 by following the link below.